According to the experts, it is required to identify live mice and UN-hatched eggs before lice treatment and that is what the professionals at a Lice Treatment Center in Miami do. They make sure that these are not dandruff, lint, dried hairspray, hair casts or lint that is often mistaken for an egg and nit. These can be more easily removed. In order to search for live lice and eggs, it is best to do so when the hair is wet. The professionals in these centers use a magnifying glass and strong light for this purpose. Clear tape and a fine-tooth comb also helps in identifying the insect. 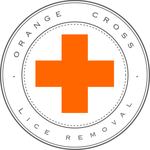 Once the professional confirms head lice infestation the actual treatment process starts. There are different processes followed in the Lice Treatment Center Miami. These processes include pediculicidal agents and mechanical removal. They also follow proper environmental measures to prevent further infestation and transmission. The pediculicide is carefully applied following the instructions on the labeling. If there are number of patients of the same family then each should be treated concurrently. There are several pediculicides approved for use in young children but the CDC strongly recommends not using these on children 2 years old or younger. For them only manual removal is recommended. It is a common practice to use a conditioner on shampooed hair. However, experts at the Lice Treatment Center in Miami will strongly recommend you to avoid using conditioners if you want to apply a pediculicide. This will prevent the hair from being coated and protect the lice. According to the CDC, the effect of this treatment will be seen in the slow movement or dead lice only after 8 to 12 hours after pediculicide is applied. It is also required to allow 2 to 3 days to pass before you wash your hair. Apart from that if you want better results you will need to repeat the treatment 7 to 10 days after the first. This will kill any newly hatched lice. Pruritus may continue for 7 to 10 days after the treatment and should not be considered as a treatment failure. It is for this reason a second treatment is necessary and along with that the experts at the Lice Treatment Center in Miami suggests a physical removal of the viable eggs. When both these treatments are done in conjunction it will reinforce that no emerging nymphs are left behind, even if it has survived the treatment.